Super cute. Love the deliciousness of the cupcakes. 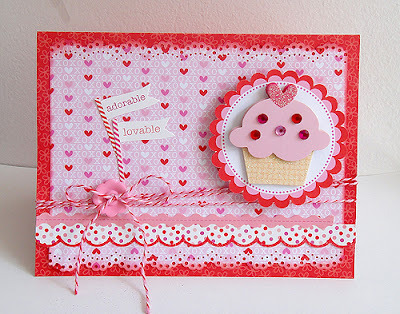 The strawberry card is super sweet! Those cupcakes look good enough to eat. There are so many great interpretations of one sketch. The strawberry card is really beautiful, I'm in love w/the strawberry paper! 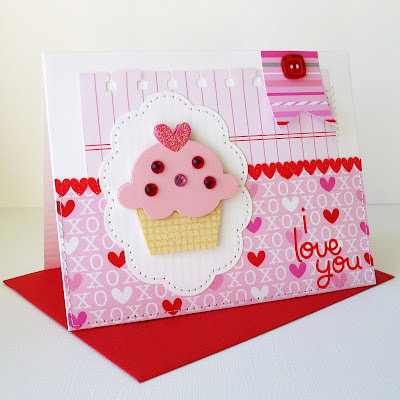 And love the scallopped edge detail on Ro's card! LOVE the sweet card by Aphra! I just want to eat it up! I LOVE Pinterest and Doodlebug! What a great combo!